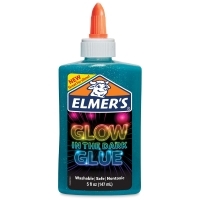 Add some out of this world detail to arts and crafts projects! 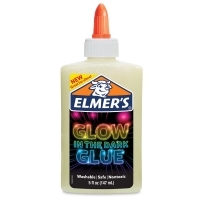 Elmer's Glow in the Dark Glue comes in bright, neon colors — perfect for creating luminous slime, decorating trick-or-treating baskets, or making signs pop. 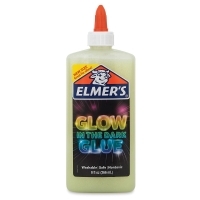 Washable and non-toxic, Glow in the Dark Glue is great for projects at home or in the classroom. Use Elmer's to make colorful DIY slime — a fun, gooey project that kids love. 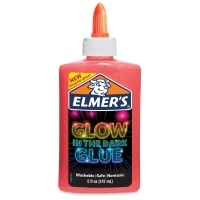 Visit the Resources tab for the recipe! To view a PDF showing the recipe for an individual quantity of Colored Slime using Elmer's Glue All, please click here. 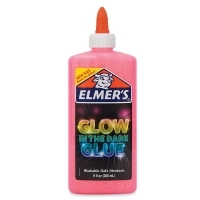 To view a PDF showing the recipe for a large quantity of Colored Slime using Elmer's Glue All, please click here. 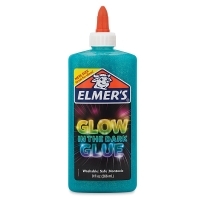 To view a PDF showing the recipe for an extra large quantity of Colored Slime using Elmer's Glue All, please click here. 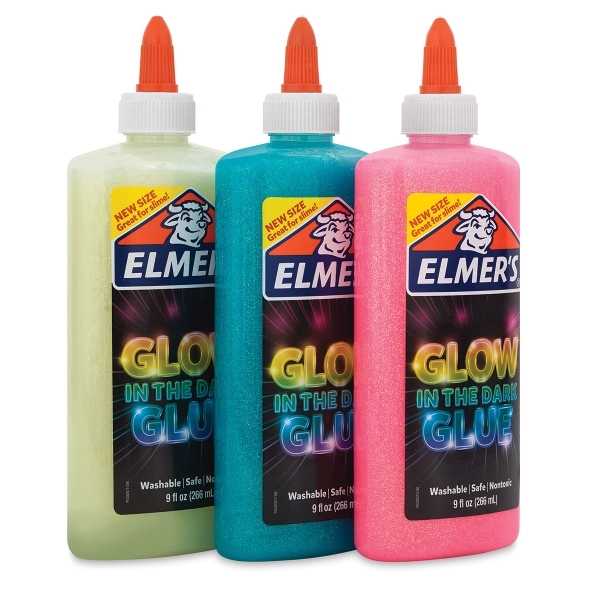 To view a PDF showing the recipe for a jumbo quantity of Colored Slime using Elmer's Glue All, please click here.